I love the sweatshirt. It does run big. I wish I had ordered a smaller size. Additional Info Shop our MS Awareness apparel and donate a portion of your purchase to a multiple sclerosis research organization! Your passion for finding a cure for MS can help us achieve that goal. 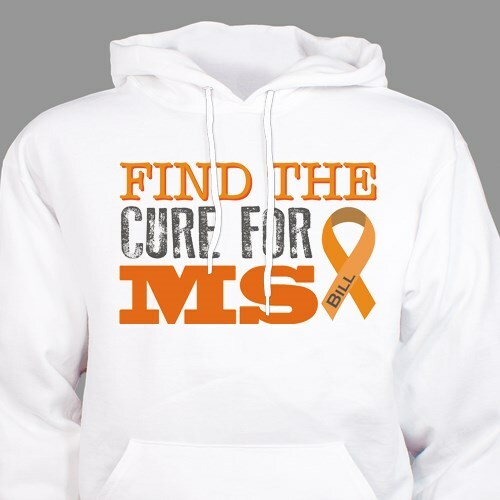 Our Find the Cure MS T-Shirt is another great gift option.